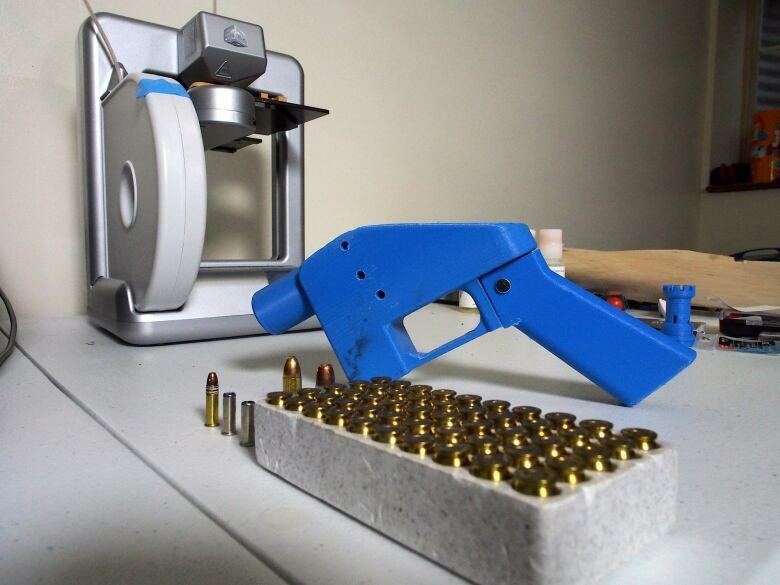 As controversy swirls in the U.S. over downloading and publishing blueprints for a 3D-printed gun, Canada's public safety minister says the new technology is causing concern for law enforcement around the world. Speaking to reporters in Regina, Public Safety Minister Ralph Goodale said local police forces, the RCMP, their counterparts in the U.S. and Interpol are all troubled by the potential to "photocopy a weapon" — presumably meaning to create one using 3D printing — that "would be usable to cause harm to other people." His comments follow a recent U.S. decision to settle a case and allow a Texas man to make the schematics for 3D-printed plastic guns available for download online starting Wednesday — though a U.S. federal judge temporarily blocked the release of the plans hours before they were to be released. Using a computer-generated model of a three-dimensional object, a 3D printer creates the object by depositing thin slices of material, such as plastics, metals or ceramics, building the object up layer by layer. Earlier, Jean-Philippe Levert, a spokesperson for Public Safety Canada, said in an email statement that the government is "closely monitoring developments to 3D-printed firearms, which do not change the law." 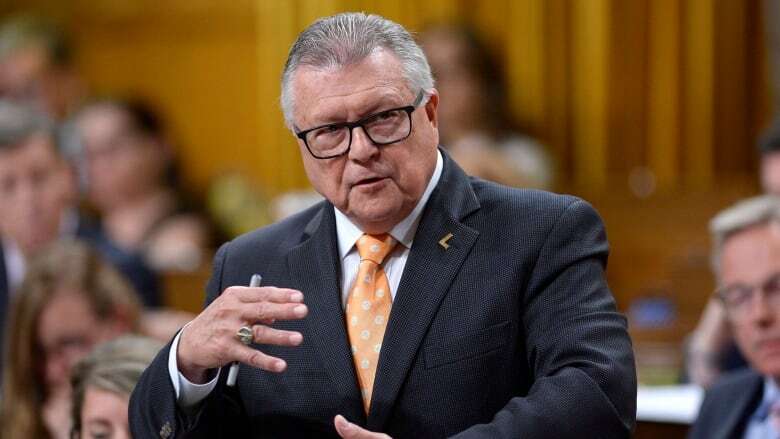 He warned that Canadians who are considering making their own 3D plastic firearms are subject to the same gun laws currently on the books, which make it illegal to manufacture or possess a gun without the necessary licences and registrations. "All firearms are subject to the Firearms Act, the Criminal Code and their associated regulations," Levert said, regardless of the manufacturing method. 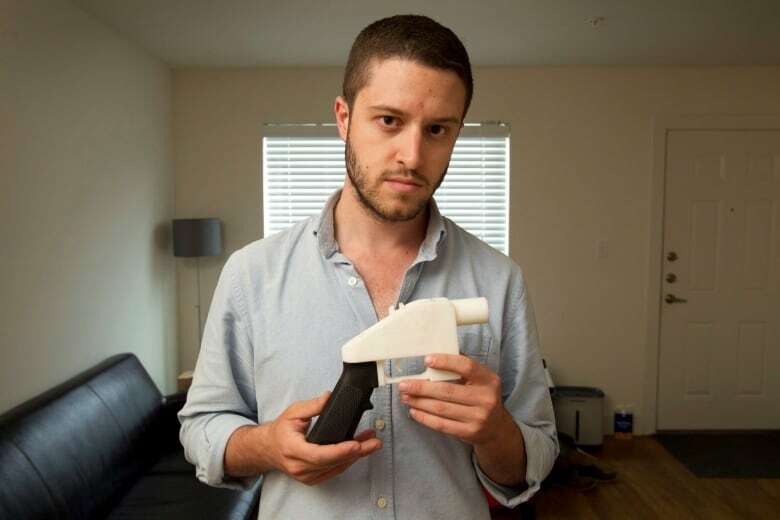 The issue of 3D-printed guns has come to the forefront following a U.S. State Department's decision to settle a years-long legal battle with Cody Wilson, a self-described "crypto-anarchist" in Austin who started posting schematics for a 3D-printed firearm on his website, called Defence Distributed, in 2013. The designs were downloaded about 100,000 times until the State Department ordered him to cease, contending he was violating federal export laws since some of the blueprints were downloaded by people outside the United States. The State Department reversed course in late June, agreeing to allow Wilson to post the blueprints starting Aug. 1. But on Tuesday, a Seattle-based federal judge issued a temporary restraining order to stop the release of the plans, saying there is the possibility of "irreparable harm because of the way these guns can be made." The blueprints have sparked concern from some U.S. lawmakers and gun-control advocates who fear this latest development allows quicker, easier access to weapons and will lead to the proliferation of unregistered firearms that are undetectable by metal detectors and untraceable because they have no serial numbers. 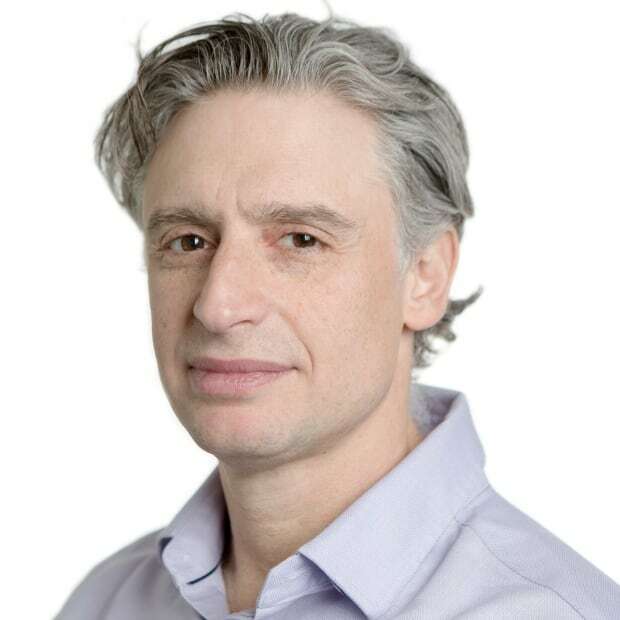 In Canada, individuals are permitted to manufacture firearms for personal use that are not for resale and that they are licensed to own, said Solomon Friedman, an Ottawa-based lawyer who specializes in gun rights. There are three classes of guns in Canada: non-restricted, restricted and prohibited. To own a restricted weapon — including a handgun or a rifle that's restricted for various reasons, like an AR-15 — an individual first needs a licence to possess restricted firearms. If they have manufactured their own restricted weapon, it has to be registered immediately upon it becoming functional, said Friedman. The gun owner has to contact their province's chief firearms officer to be issued a serial number that is verified and registered under the gun owner's name, he said. Someone manufacturing a 3D gun would be subject to the same laws, he said. "Hobbyists have been making firearms in Canada probably for as long as they've been making them anywhere else," Solomon said. "This long predates 3D polymer printers." Although gun-control advocates in the U.S. have voiced their concerns about these weapons, Canada's Coalition For Gun Control said it was currently consulting on the issue and offered no position on the subject. But Tony Bernardo, executive director of the Canadian Shooting Sports Association, dismissed the controversy over printed weapons. "In Canada, there's zero market for this," he said. "In every gun club in Canada, every shooter we have in our association — we're the largest association in Canada with 33,000 members — I have heard exactly zero [interest]. "Everybody looks at it and goes, 'I wouldn't fire that.'" Bernardo is echoing what some other industry experts have said: That printed weapons are not accurate, and that criminals wouldn't go to the trouble to get a plastic gun since the printers needed to make them are relatively expensive and traditional firearms are easy to come by. "Why on earth would a criminal go out and buy this giant, clunky, one-shot gun when there's a whole sea of them across the other side of the border," Bernardo said. Unlike traditional firearms that can fire thousands of rounds in a lifetime, 3D-printed guns normally last only a few rounds before they fall apart, some experts say. They don't have magazines that allow the usual nine or 15 rounds to be carried; instead, they usually hold a bullet or two and then must be manually reloaded. "You're not talking about making a real gun," Bernardo said. "You're talking about making something that might go five shots without blowing up in your hand."